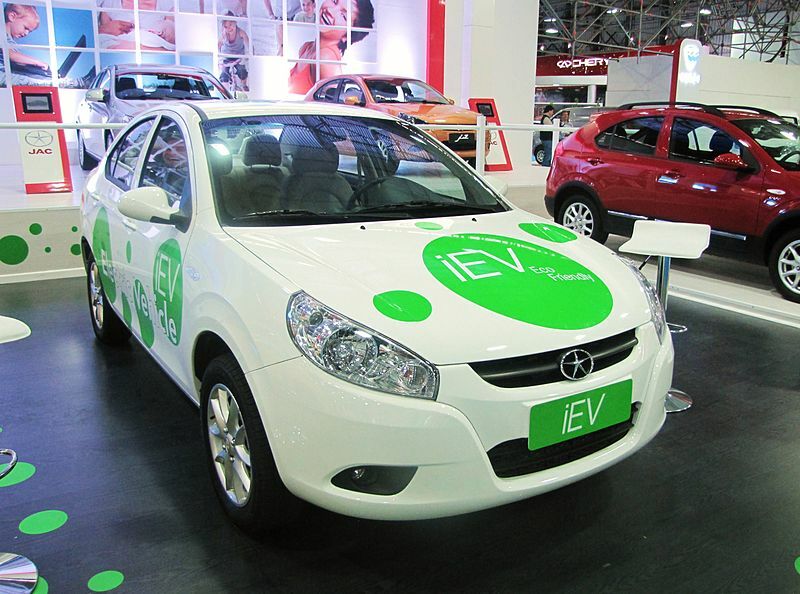 China sold 17,600 electric vehicles (EV) in 2013, according to blog ChinaAutoWeb citing an official with CAAM (China Association of Automobile Manufacturers). The figure comprises 14,604 all-electric vehicles and 3,038 plug-in hybrid EVs and is a 54.7% increase compared to 2012’s sales of 11,375 vehicles. The blog notes total sales of vehicles in China in 2013 amounted to nearly 22m. 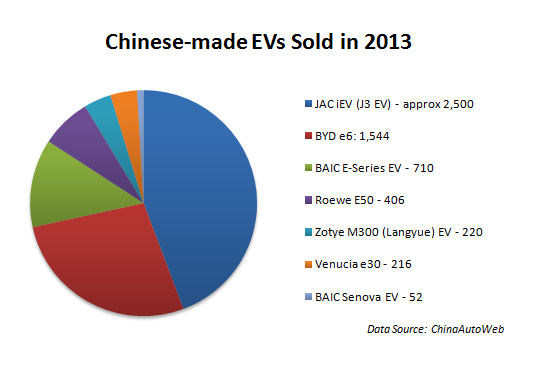 See below for a breakdown of Chinese-made EV sales in 2013 (data from China Passenger Car Association via ChinaAutoWeb). The data does not include sales figures for the Chery QQ3 EV, which had a 44% share of China’s EV market in 2012. China aims to get 500,000 plug-in and all-electric vehicles on its roads by 2015 and 20m by 2020. Towards the end of last year, the country’s government altered incentives to encourage EV adoption, with buyers of electric cars now receiving up to CNY60,000 ($9,900) and plug-in hybrid owners getting CNY35,000 ($5,800). The incentives are being lowered by 10% this year and 20% in 2015.